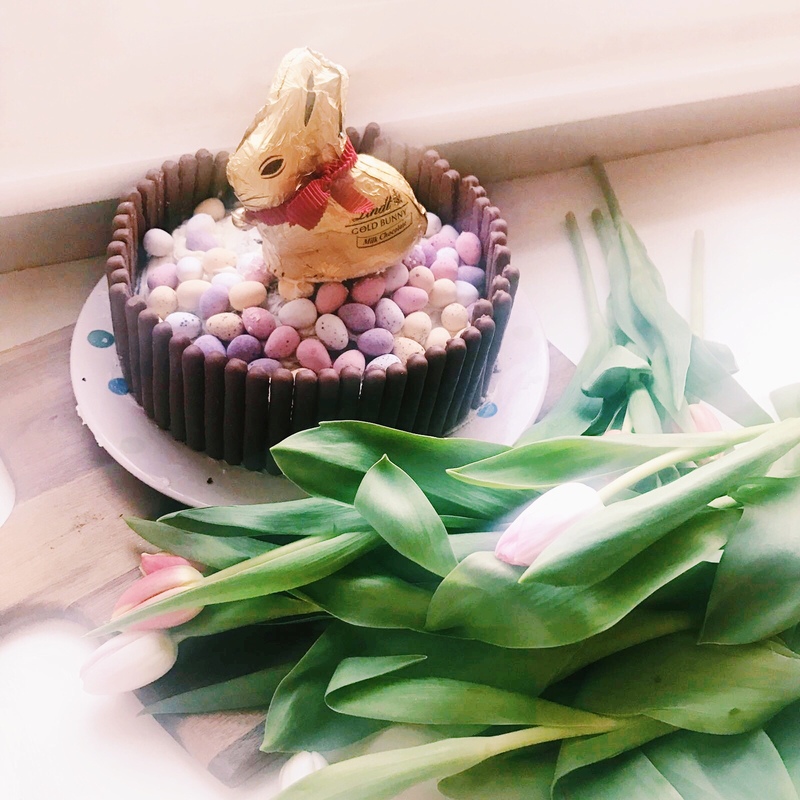 Easter, for whatever reason, seems to be the perfect time to bake – probably because for many it heralds the end of six weeks ~deprivation~ without chocolate, sugar and all sorts of other things which people give up on the eve of beginning of lent! 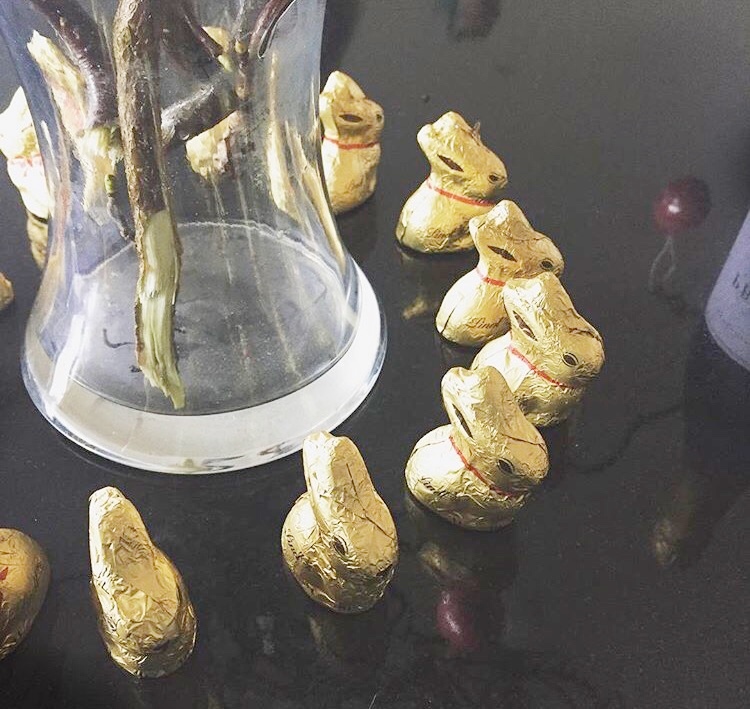 I love the four days of Easter – everything seems a bit more relaxed, spring is in the air, the house is filled with daffodils and now, in later years, my nieces and nephews have come over for an egg hunt. And, there’s two people in particular I love visiting – my ‘duckies’ (grandparents), who are always appreciative for a few baked goods when I visit! I find baking so mindful, it really is one of the most therapeutic things for my mental health. Let’s get down to it shall we? To ice, whip up a batch of runny icing and white chocolate stars. 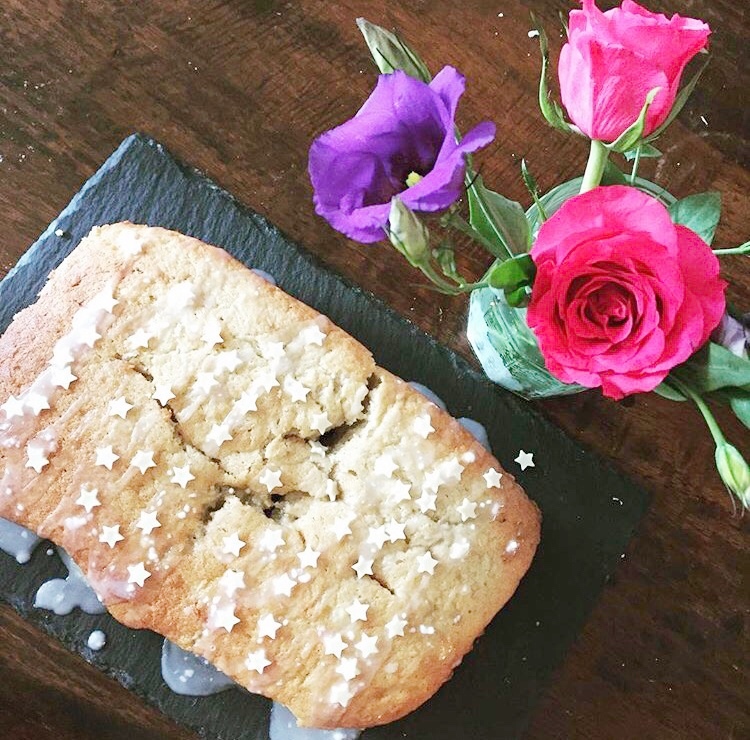 Use a teaspoon to drizzle zigzags across the loaf, and then individually stick stars on, or scatter over for a less ‘organised’ approach! Whip up a simple sponge (even use a Betty Crocker one for time saving / ease!). Then, create your butter icing – with butter icing I tend to do it on sight/ texture / taste test (best bit!). Pop in a good whack of icing sugar, and then throw in a few tablespoons of water. Now use butter (but the sort you’d use on your toast – doesn’t matter if salted or unsalted!). Then use an electric mixer to get it to a mixture that peaks nice and stiffly. Use a paintbrush and vodka to stick fondant icing together (you could go extra detailed with pink bunny feet, too) and pop this little guy at the bottom or alternatively opt for the Lindt bunny option. They both work! These are perfect if you’re having people over for dinner and want a delicious but low maintenance desert. 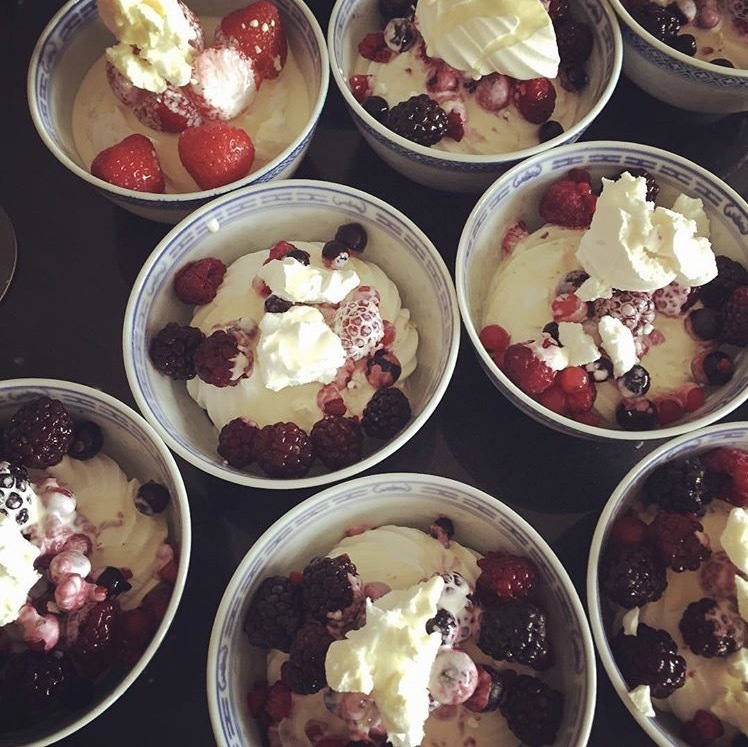 all you need is mini meringue nests, frozen fruit, and cream. Easy peasy and they always go down well! What Easter baking have you got planned? YUM! 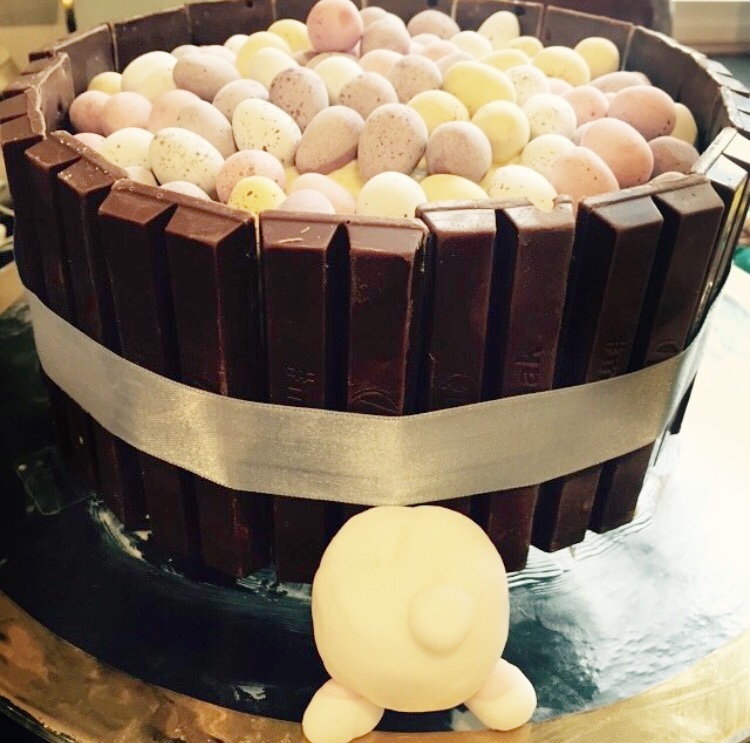 The mini egg Easter cake looks SO good. I would like you to bring me a whole one next time I see you please. I love Eton mess (as you’ll remember from our Kew trip) and I love how easy it is to make, but it always looks and tastes so impressive! I’ve baked creme egg brownies and mini egg cupcakes this Easter and I want to bake more things! My first thought when I saw “Nana loaf” was “you’ve done WHAT to my grandmother? !” 😛 Nana is the name my siblings and I gave to our grandma when we were small and it’s stuck haha! Thoughts of my poor Nana being plonked in a baking tray aside, your banana loaf looks truly scrumptious! My sister and I were only saying earlier today that we wanted to make something interesting with the bananas we’ve got in the house at the minute and this looks like a far superior option to a boring old banana split! Mini messes are a great idea too, although containing yourself to just having one might be a bit tricky 😉 I find baking very therapeutic as well, it’s lovely to see something you’ve made yourself from scratch coming together! Happy Easter! The mini messes – yum!!!! I love the look of the Easter egg cake. I wish Gran Canaria sold mini eggs so I could make this cake. It’s sadly lacking in Easter goods! When I saw you post about this on Instagram yesterday, I couldn’t wait to read this post!! I too, spent yesterday baking up some yummy Easter treats. How incredible does your cake look though?! It’s definitely made me a little hungry! Looove the look of these! I love a good cake so I want to eat all of these. I’m also a huge fan of Eton Mess so the mini messes would definitely be for me! You’re so right about mini messes, always go down a treat and I’ve fooled dinner guests into thinking they’re more work than they actually are! I’d love to try an Easter bunny cake but it looks like too much for me to eat, I have no one to share with! Baking and Easter just go hand in hand don’t they? I’m not sure what it is either but it just always feels right! These look like some adorable treats and you can’t beat a quick and tasty dessert for after dinner! Omg, you’ve got me craving some sweet treats now! Hope you had a lovely Easter! Hope you got lots of chocolate, hun!